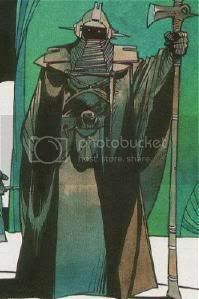 To my disappointment, a dug out my copy of teh Dark Horse comics Dark Empire Handbook, and found no images of the Imperial Sentinel. The page devoted to the planet Byss, does however have some sort-of-Sentinels. The primary figure is clearly based off of the Sentinel, and has a very similar outfit. He is also weilding an axe similar/identical to what is generally considerd the appropriate weapon for an Imperial Sentinel/Atha Prime. I thought i might be of interest for weapon detail reference, and for some costume ideas. I am the who when you call -- who's there? I am the wind blowing through your hair. "The Royal Guards on the bus go '..., ..., ...; ..., ..., ...; ..., ..., ...'"
I will sh*t brix the day I see one of those done, I have to admit. Where did that second image come from? I remember it was posted on the old boards, but I've never seen it's source. Also, Ang, did you get a PM from me? I'm not used to these new boards and whenver I send a PM it puts it in the Outbox but not the Sent Mail folder...just thought I'd double check. Since we're posting pictures, here are the concepts for the Royal Guard and for Atha Prime. I swiped it from Wookieepedia. The first image is the Guard concept. 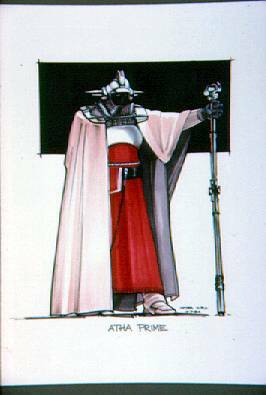 The second is a barely modified cocnept Kenner used for its Atha Prime proposal. 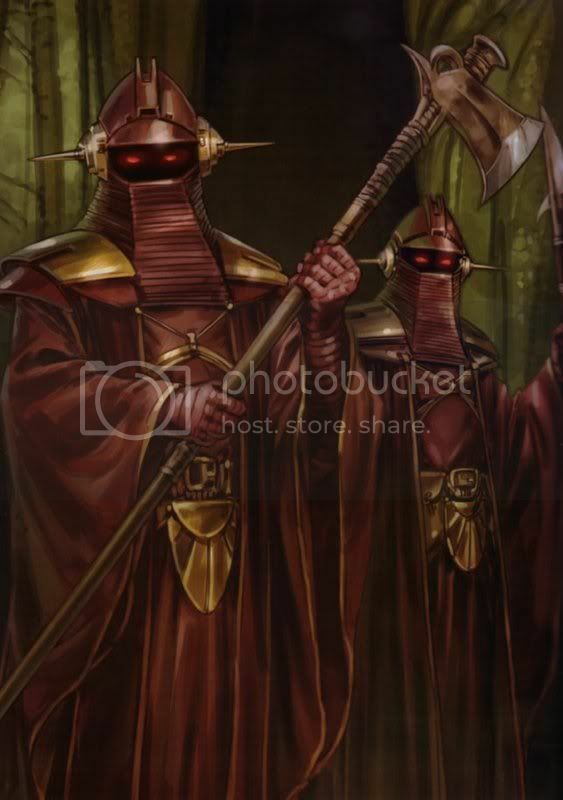 Third is obviously the Imperial Sentinel seen in Dark Empire. Did not get a PM from you. I have a PM in my SENT folder, that I supposedly sent you last Friday. It was just a link to a webstore that Jonah had posted on the old boards, that I thought could be added to the Sources thread. Could you double check and see if you got it. If not...something is up with the PMs. Yeah, I've noticed things are just sitting in outboxes for a while...let me see what's going on.